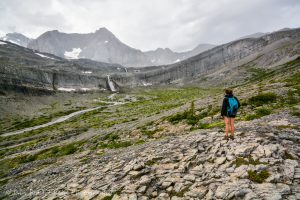 Elk Lakes isn’t one of those parks that first comes to mind when one mentions Canada’s Rocky Mountains, however, there is no reason for its under appreciation. 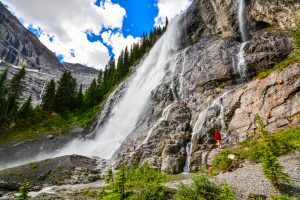 The density of incredible scenes in this park rivals any of the more well-known Rocky Mountain parks such as Banff or Jasper. 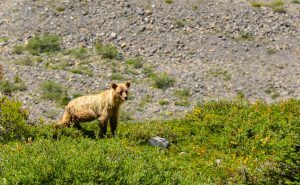 It’s only a 15 minute walk to Lower Elk Lake and an exceptional backcountry campsite from the Elk Valley road. Waking up early to catch the morning alpenglow on the mountains behind the lake is absolutely worthwhile. Lower Elk Lake in the morning. 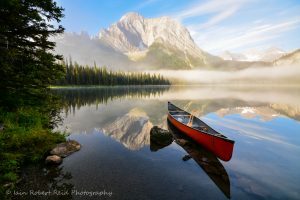 A beautiful lake for canoeing!